Nicole is known for wearing the most large and unique sunglasses around and she always wears them so well. 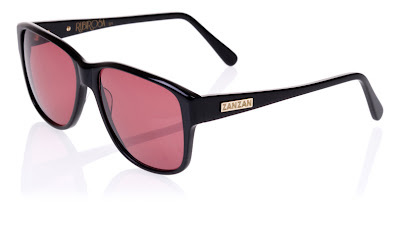 Which is why when i seen this collection of shades by Zanzan i thought of Nicole ..
Zanzan is a stunning new range of limited edition sunglasses designed by Gareth Townshend and Megan Trimble, who took their inspiration from 1960s London, when Maltese gangsters walked with a swagger, looked sharp and turned heads. The G men had a name for the exhilarating feeling of wearing something stylish for the first time - they called it Zanzan. The Spring/Summer 2009 collection, available from farfetch.com introduces four new designs - Rubirosa, Black Rio, Zazou and Le Sept. Each is limited to 100 pairs in total and is available in a choice of colour combinations. They are handmade using a combination of the most advanced production techniques available and traditional methods dating back over sixty years they are built to last by people who take pride in their work. 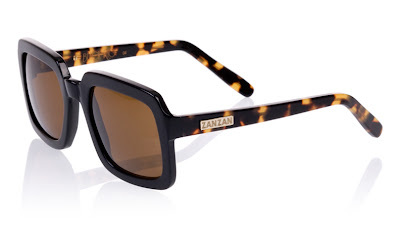 I think these Zanzan shades are stunning and unique, i could totally imagine Nicole Richie wearing these!